Buying a home may be the biggest single investment of your lifetime. Your life’s savings may be invested in this one venture. Thus, it is extremely important that you, the prospective buyer, use the greatest caution in buying a home. For your protection, consult a lawyer before you sign a purchase contract. The lawyer’s training and experience will help you avoid trouble. Not all lawyers have experience in reviewing real estate contracts so be sure to ask about the lawyer’s experience. 4. Is the seller to furnish you with a good, marketable title? If not, you may be purchasing the property even though other people may have previously asserted claims to all or some of the property or there may be claims that have been brought by those involved in construction or remodeling of a home. 9. If a loan is to be obtained from an outside lender, who will pay the loan closing costs? There are usually local customs as to which costs are paid by the buyer or the seller but it is better to make this explicit in the contract. 12. What are the zoning regulations or other restrictions, on the use of the property? It is important that your purchase agreement be prepared or reviewed by your own lawyer before you sign to assure the agreement covers your requirements. Remember that even printed form agreements are negotiable, but this requires knowledgeable and independent professional guidance. When purchasing a home, you should request a “marketable” title. Your lawyer, after proper investigation, can tell you whether the seller is able to convey such a title to you. No one can advise you without a proper investigation. A warranty deed is a conveyance of title plus some warranties or guarantees. The usual guarantees or warranties by the seller are: good title, freedom from encumbrance other than as excepted, possession to the buyer as against all others, and a promise to defend title. These guarantees alone are not adequate protection since they are no better than the present and future financial responsibility of the seller. A warranty from a financially responsible seller is comforting and desirable but is not a substitute for a title examination and title insurance. Title defects have a way of lying dormant for years and perplexing a buyer long after he has paid for the land and after the seller has disappeared or died. A title examination is a study of title evidence from the public records, which can be from an abstract of title or computer records. (An abstract of title is a collection of public records relating to the ownership of a parcel of real estate. In many counties, centralized computer records have replaced abstracts.) Your lawyer examines the applicable title information to determine who owns the lands, defects in or claims against the ownership and any action needed to secure good record title. But like any insurance policy, the coverage is no greater than as stated in the policy. Any policy can list matters substantially affecting title that are exceptions to the coverage and are not insured. Another type of policy, mortgagee’s or lender’s title insurance, protects only the holder of the mortgage and not the owner. You should not forego owner’s title insurance coverage because your lender has its own loan policy. In fact, obtaining both the owner’s and lender’s title policies at the same time is not much more expensive than obtaining a single policy. Your lawyer representing your interest can advise the extent of protection given by your owner’s policy. Even if your attorney does not issue your title policy (as is the practice in certain counties and often when purchasing new residences from developers), your attorney can advise you whether the exceptions from coverage listed in the title insurance commitment will be appropriate under the contract or detrimental to you when they are included in the final title policy. Some attorneys include the policy’s cost in an overall charge for all legal services. Other attorneys separate the charge with the cost for the policy being based on the real estate purchase price. This price is the maximum amount for which you are insured. There is only a one-time charge for an owner’s policy and its protection continues long after you sell the property so you should hold onto the policy indefinitely. Buyers often have the title to a home placed in a joint ownership arrangement with special words inserted so that title passes automatically to the survivor when one of the joint owners dies. This arrangement is known as “joint tenancy.” In Florida, when land is owned jointly by husband and wife, it is known as an “estate by entirety.” Owning property in this manner may be a good idea for some, but, again, it may not be good for you. You should determine the income, gift and death tax consequences before having your home placed in joint ownership. Your attorney can advise you regarding this important decision. If the home you are buying is still under construction or has been completed recently, special care is required to make sure that all building costs have been paid by the sellers and that you are fully protected as to the provisions of the Florida Construction Lien Law. You should consult your lawyer for full information as to your rights and responsibilities under this law. This may be true also when repairs on a house have been made recently or building material recently delivered. Failure to protect against construction liens can result in the property being subject to liens even though the full contract price was paid. Many financing arrangements are available to today’s home buyers: variable rate mortgages, conventional mortgages, government insured VA and FHA loans, as well as specialized mortgages designed for specific financial institutions. Your attorney can help you determine the most advantageous plan, based on your needs and capabilities to repay, including certain tax advantages appropriate to your personal financial situation. You should also determine if, in the future, you’ll be allowed to borrow additional money secured by the same mortgage. You’ll want to ask your attorney to explain all costs of the loan, including service charges, appraisal fees, survey costs, escrow fees, and lender’s attorneys’ fees. As a careful buyer, you should insist that your lawyer be present at the closing, checking each detail to assist you making your purchase the trouble-free ownership to which you are entitled. If you need a lawyer and don’t know how to find one, many areas in Florida have lawyer referral services listed under “attorneys” or “attorney referral services” in the yellow pages of the telephone book. This service will give you an appointment with a lawyer for a nominal fee. If there is no lawyer referral service in your city, the statewide Florida Bar service can locate a lawyer for you. You can call this service at (800) 342-8011, which operates only in cities where there is no local program. They will refer you to an attorney for an initial one-half hour consultation for a nominal sum. Consider the reasons for buying property in Florida. Attractions include the climate, favorable exchange rates and the availability of flights (and bargain fares) from all major UK airports. Few purchasers appear to be put off by travel time – a minimum of eight hours from London, depending on whereabouts in the state you are flying to. As the US economy recently slid into recession and the long-standing property boom came to an end, many developers in Florida have faced tough market conditions in which to promote their projects. One consequence of this has been that intrepid British buyers have been able to get some great discounts on new properties. Another is that the exchange rate between the US Dollar and Sterling means Brits are getting far more property for their Pounds. Consider popular locations in Florida. 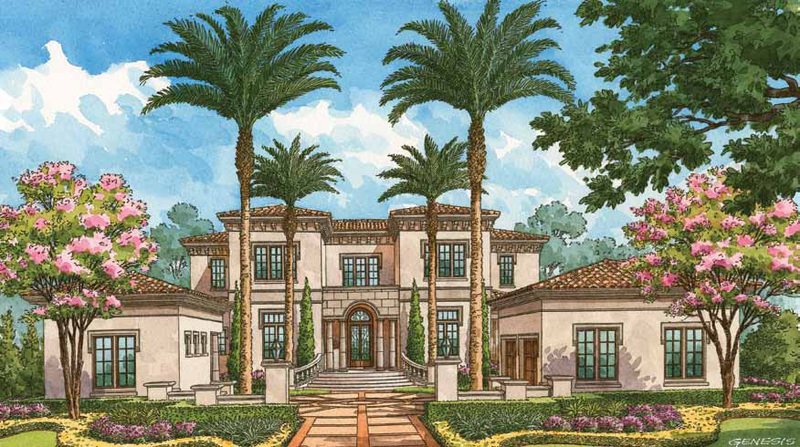 This guide gives a flavor of the areas of Florida most popular with British second home purchasers – the central region around Orlando, the east (Atlantic) coast and the resorts on the southwest (Gulf) coast. Central Florida – The central part of the state, particularly around Tampa and Orlando, has long been a favorite with British holidaymakers, especially families, as it is there that most of the big attractions are located, including Disney World, Universal Studios, Busch Gardens and Sea World. Unlike some other parts of Florida, it is warm all year round, and there is less rain than in coastal areas. Its popularity, and the resulting healthy rental market, which offers owners the best returns in Florida, makes the area a magnet for both second home purchasers and buy-to-let investors. Prices reflect this, but generally still represent good value as the volume of new construction helps keep them competitive. Most purchasers here are looking for detached villas with pools. The Gulf Coast – In July and August, so the potential for letting properties, certainly to families, is not as good. However, it makes up for these disadvantages with magnificent white beaches, azure seas, plentiful moorings and fine restaurants – attributes that have made it popular with the super-rich. Around 60 per cent of the US’s wealthiest citizens winter at Naples, an exclusive resort on the Gulf Coast, or at Palm Beach, on the Atlantic Coast. Consequently, the Gulf Coast is a hugely expensive area. Houses on the waterfront, in particular, command prices easily in excess of twice those of similar-sized ones in the Orlando area. Properties further inland or up the coast are slightly less expensive. The Atlantic Coast – Florida’s Atlantic Coast stretches from St Augustine through Daytona Beach, Fort Lauderdale and Miami, right down through the Florida Keys to Key West. It includes some of North America’s most desirable (and expensive) locations, such as Palm Beach, where prices routinely run to millions of dollars. However, not everywhere on the Atlantic Coast is this pricey, and if you choose your location carefully, you can find a three-bedroom house with a pool for around $250,000 (approximately £125,000). An apartment in a good area of Miami will start from around $300,000 (about £150,000) – not bad considering how much the city offers: beautiful beaches, blue seas, non-stop nightlife, a varied arts and culture scene, fascinating Art Deco architecture and a consistently warm climate. Many current buyers are taking advantage of the stressful situation of developers involved in Miami condo projects to get some of the best discounts available in international real estate. Obtain a mortgage. When working out how to finance your property purchase, consider all the options. Paying cash, if you can afford to, is often recommended, but you may not want to tie up a relatively large sum in this way. If this is an option for you, be sure to consult one of the specialist currency exchange companies in the market, as you can get far better exchange rates and potentially save thousands in the process. The other options are remortgaging your UK home or arranging a mortgage on your Florida property through a UK or US lender. Remortgaging offers the easiest solution. Releasing equity in a UK home means that the second home can be purchased for cash, without the need for another mortgage. However, this may only be feasible for those who own their first home outright. Several UK mortgage providers will lend funds of up to 80 per cent of the purchase price for second home purchase over, typically, a 15-year term. Get a mortgage in Florida. If you decide to obtain finance in the US, bear in mind that most mortgages available to foreign nationals require a minimum 20 per cent down payment. Some even stipulate 30 or 35 per cent. At the beginning of the process, make sure you obtain what is known as a Good Faith Estimate. This is a standardized document used to detail all the costs of obtaining your mortgage, including both monthly and one-off payments. If possible, try to secure a self-certified mortgage. Unlike in the UK, this kind of mortgage does not necessarily carry a higher interest rate than a fully documented mortgage, and it could save you a lot of time and trouble spent assembling documents. Understand the taxation system. The US taxation system is a complex one, and may involve payments to at least four different levels of government: local, regional, state and federal. A Double Taxation Treaty between the US and the UK prevents double payment of taxes. Income tax, a progressive tax ranging from zero to 35 per cent of taxable income, forms the bulk of taxes collected by the US government. Florida ranks lower than many other US states in terms of the tax burden it imposes. It is one of only nine states that do not levy a personal income tax. More than half of its non-federal revenue is collected at local level, mostly through property taxes, which, for homeowners, amount to approximately 1.5 per cent of their property’s value per annum. Florida’s sales and use taxes provide over half of state revenue. Sales tax applies to most retail items (excluding groceries, medicines and certain other items), as well as to car and hotel room rentals and theatre tickets. The rate is currently 6 per cent. Local governments may levy an additional local sales tax of up to 1.5 per cent. The use tax is levied on wholesale items brought into Florida for sale. Get the right passports, visas and residency sorted. Passports and visas – British citizens may visit the US for business or pleasure without a visa for up to 90 days per year. A passport is required. The traditional Visa Waiver program in operation for most European nationals allowing them to stay in the US for up to 90 days is set to change in January 2009. From this point, all travelers wishing to use the Visa Waiver will be required to register themselves online before departure for the US. This should preferably be done at least 72 hours in advance, and is intended to afford an extra layer of security for the US authorities. The online registration will be valid for up to two years; will be named the Electronic System for Travel Authorization; and will be similar to Australia’s Electronic Travel Authority in operation. The ESTA is also valid for multiple entries into the US, so for property owners it is possible to fill out the online registration once and then travel for two years under the normal Visa Waiver Program. Florida’s immigration laws are strictly enforced. Those seeking a Florida Green Card, which entitles them to live and work in the state, face close scrutiny by the Immigration and Naturalization Service, particularly if they wish to start a business. Although there are no restrictions on foreigners including Britons buying a property in Florida or anywhere else in the US, there are limits to how long they can spend in the country each year (see Passports, visas and residency section). Many areas of Florida also impose restrictions on the number of days per year that homeowners are allowed to let their property. Some ban letting altogether, so if you are counting on your property in Florida to pay for itself through rentals in any way, it is vital that you know what the letting situation is as early as possible. Hospitals in the US provide some of the most advanced healthcare in the world. Most are private. The US spends around 13 per cent of its gross domestic product on healthcare, much of it through insurance programs provided by employers and the two federal programs, Medicare and Medicaid. There is no national health service as such. Approximately 14 per cent of the population is estimated to be without any form of health insurance. For visitors, private medical insurance or travel insurance is essential. If you are seriously injured, the emergency services will treat you and charge you later. If the injury is not serious and you need to consult a doctor, a basic consultation will cost approximately $100 (around £50). There are a variety of policies available for overseas travelers and those intending to live overseas, and they do not have to cost huge sums. Individual circumstances will vary widely, so it is essential to obtain professional advice and guidance tailored to your particular situation, especially in areas such as property purchase, potential rental returns, taxation and mortgages.